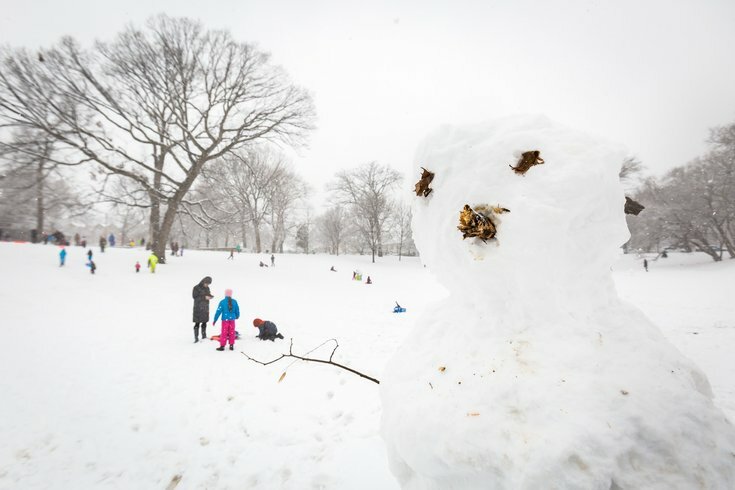 A group of people built a giant snowman in West Philadelphia's Clark Park during Winter Storm Toby. Anderson School District 5 will implement an “eLearning” program that allows the teacher to send assignments to their students’ computers. They can then monitor their students’ progress online. The district will allow for a 5-day grace period to complete any snow day work. You know, for “technology issues," or as some of the kids these days call it, "building a snowman." While similar programs have moved forward in one district of New Jersey, Pennsylvania's Department of Education implemented an “eLearning” pilot program in 2014, otherwise known as “flexible instructional days.” However, it ended with the 2018 school year and it is unclear if there are plans to continue the program. It may have not been as successful to begin with. It was reported that one district in York, Pa. implemented the flexible learning day on Jan. 30 with plans of repeating the measure. But due to high volume feedback, the district overturned that idea and decided to not do the flexible instructional days again. This may mean Pennsylvania students are just going to have to play in the snow instead of do school work for winter 2019 snow days. Ah, well.